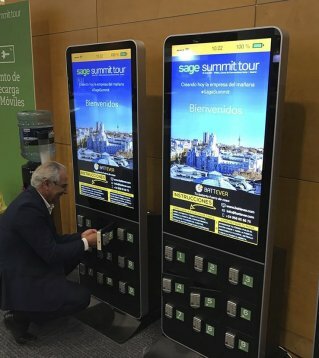 Want to know the prices of the charging stations for events? 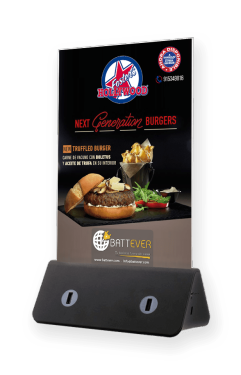 Are all charging stations customizable? Yes, they are fully customizable with your brand. Can you charge all mobile phones? Do you ship anywhere in Europe? Yes, we ship throughout Europe. Can we pick up products from your store with our transportation agency? Yes, we offer two options: pick up and send through us, or through the agency of your choice. How is the advertising uploaded to the products with digital display? 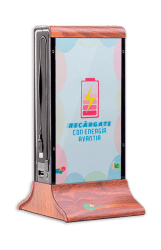 We send the charging station stations with the images/video already uploaded so the only thing you need to do is plug in the charger and the images/video automatically play in a loop. How are the chargers installed? Simple. You just have to connect the product to the power. They are Plug & Play. Do you do assembly and disassembly? With most products it isn’t necessary because all are Plug & Play. However, we offer the possibility of doing the assembly/disassembly for you to leave them connected in the indicated place. Is a customer service person required? 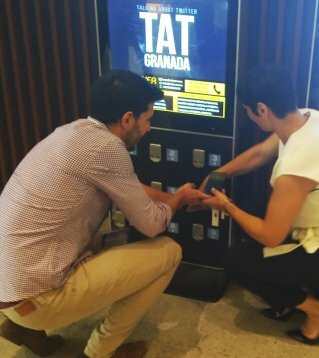 When using our mobile phone charging lockers it is advisable to have a customer service person present to help the user in case they forget their password. In the case that a customer forgets their password, a member of the actual event staff can also call in to Battever and a member of our team will walk them through the procedure of recovering the password. 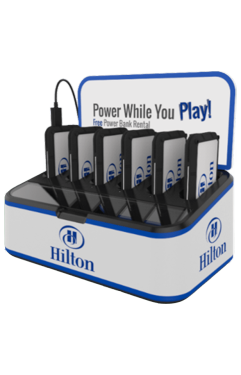 How many charging stations do you recommend per person? It depends a lot on the type of event, schedule, duration, etc. If you have doubts in this aspect we are more than happy to let you know what we recommend as the optimal amount according to our experience. How soon should you schedule the rental of the units before an event? Ideally, you should reserve rentals at least one month before the event. 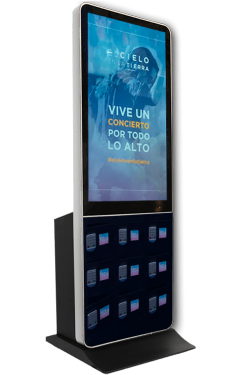 However, if reserved closer to the event date, we will do everything possible so that our mobile charging station services are able available at the event.